For the purposes of the provisions of the Organic Law 15 / 1999, of 13 of December, of Protection of Personal Data Alejandro Leopoldo Garcia Bausson onwards, (Real Estate Tu Casa), with NIF: 43385828P informs the User that he owns of personal data files registered in the RGPD (General Registry of Data Protection) in which your data are incorporated and are treated in order to provide the requested services and send you information about our company that may be of your interest. 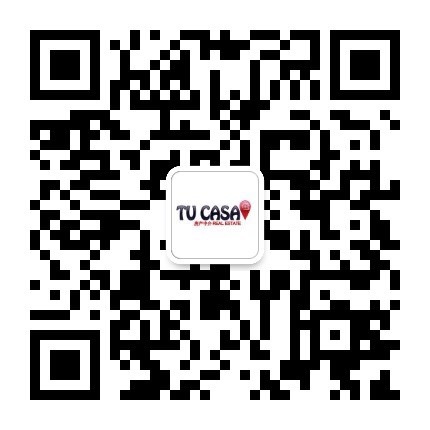 The sending of personal data is mandatory to contact and receive information about the services provided by (Real Estate Tu Casa). Likewise, failure to provide the requested personal data or failure to accept this data protection policy means that it is impossible to subscribe, register or receive information about said services. According to what is established in the Organic Law 15 / 1999, of 13 of December, of Protection of Personal Data, we inform you that the personal data obtained as a result of your sending of personal data, will be incorporated into a file owned by of (Real Estate Tu Casa) with address C / Musitu 20 2o 2a - 08023 - Barcelona - BARCELONA, having implemented all the security measures established in Royal Decree 1720 / 2007. The User who sends the information to (Real Estate Your House) is solely responsible for the accuracy and correctness of the data included, exonerating (Real Estate Your House) of any responsibility in this regard. the personal data provided, and undertake to keep them duly updated. The user agrees to provide complete and correct information in the registration or subscription form. (Real Estate Your House) does not answer for the veracity of the information that is not of own elaboration and of which another source is indicated, reason why neither assumes any responsibility as for hypothetical damages that could be originated by the use of said information . It is exonerated to (Real Estate Your House) of responsibility before any damage or damage that the User could suffer as a consequence of errors, defects or omissions, in the information facilitated by (Real Estate Your House) whenever it comes from sources other than (Real Be Your House). (Real Estate Tu Casa) will not transfer personal data to third parties. However, in the case of being transferred to a third party, prior information would be requested requesting the express consent of the affected party under Art. 6 LOPD. You can direct your communications and exercise the rights of access, rectification, cancellation and opposition by post at C / Musitu 20 2 or 2a - 08023 - Barcelona - BARCELONA, or by email: alejandro@realestatetucasa.com along with valid proof in right, as a photocopy of the DNI and indicating in the subject "DATA PROTECTION". The User declares to have been informed of the conditions on protection of personal data, accepting and consenting to the treatment thereof by (Real Estate Your Home), in the manner and for the purposes indicated in this Policy of Protection of Personal information. (Real Estate Tu Casa) reserves the right to modify this policy to adapt it to new legislation or jurisprudence as well as industry practices. In these cases, (Real Estate Tu Casa) will announce on this page the changes introduced with reasonable anticipation of its implementation. In accordance with the provisions of the Organic Law 15 / 1999, of December 13, of Protection of Personal Data, the User gives his consent for the inclusion of his personal data in a file owned by Alejandro Leopoldo Garcia Bausson, and that they can be transferred to [.......... (Indicate the Assignee) ............ ..], with the purpose of [.......... (Indicate the purpose of the assignment) ............ ..]. In this sense, we indicate that you have thirty days to express, in writing, your refusal to the data treatment described. If after said period has not indicated its disagreement in the indicated sense, it will be understood that it gives its consent for the treatment of your personal data in the terms indicated above. On the other hand, we inform you that you may exercise your rights of access, rectification, cancellation and opposition by contacting Alejandro Leopoldo Garcia Bausson at C / Musitu 20 2o 2a - 08023 - Barcelona - BARCELONA; or by sending a message to the email address alejandro@realestatetucasa.com.